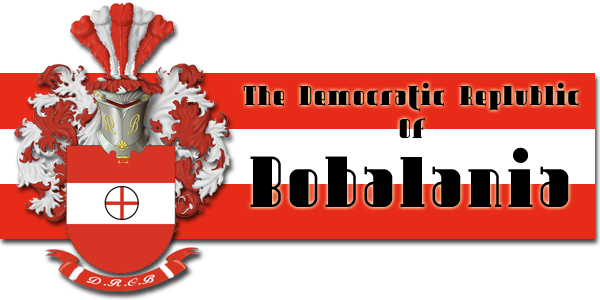 The name of this country shall be “The Democratic Republic of Bobalania”. The purpose of our country is to make a nation where our citizens can be free, have fun, have equal opportunities and to help make our country into a large nation that our citizens will be proud of. The people will decide the rules of our country but must be finalised by the government, and any problems or question’s in the country should be directed to the King or Prime Minister. Any one can apply to become a member of the government. Finances will be handheld by the king and or prime minister. As of yet citizens do not need to pay anything to the country, but this could change depending on how the country develops. If you would like to see change to the constitution please contact the king or prime minister, or bring the issue up in the forums.